Compassion Kids is a place where every kid is a part of the church EVERY weekend! We will help your child learn about Jesus at their developmental level in fun, safe and engaging environments. 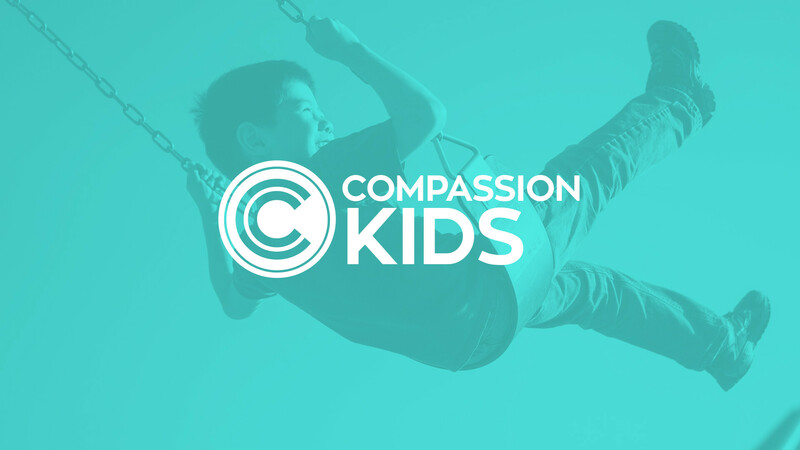 Compassion Kids is a program designed for your child ages Birth - 6th grade to experience Jesus in a safe, fun and engaging environment. We want to partner WITH families to help each kid Find and Follow Jesus at their developmental level. We are passionate about helping families win and ensuring each kid feels welcome every single weekend. We will ask for the following personal information: family members' names, children’s names and birth dates, address, phone number, and any special instructions (allergies, special needs, etc) for your child. You may check in your child at any available station. After finding your child’s name in the database, you and your child will be given matching identification stickers that are exclusive to your family and your visit. Your child will need to wear the name tag portion while you keep the matching tag. After the service, you will return to your child’s room and show your tag in order for your child to be released back to you. In the event that we need to contact you during the service, you will receive a friendly text. We ask that you exit the auditorium immediately and look for a staff member or volunteer who will direct you to your child’s room. We want to partner with families to help start conversations about Jesus between you and your child. Each week you will receive an email with resources for families specific to the lesson your child will be learning that weekend. We will also send home a weekly Parent Talk so that you can jump right into a conversation on your ride home. Our environments and lesson materials are created in a way your child will understand. We are so passionate about kids learning this way that we have a service just for them.